Fish Skeletons | FISHING FURY - A Fishing Blog with Attitude! The guys over at Helter Skeletons create some of the most unique artwork I have ever seen. They turn you catch into a skeleton. 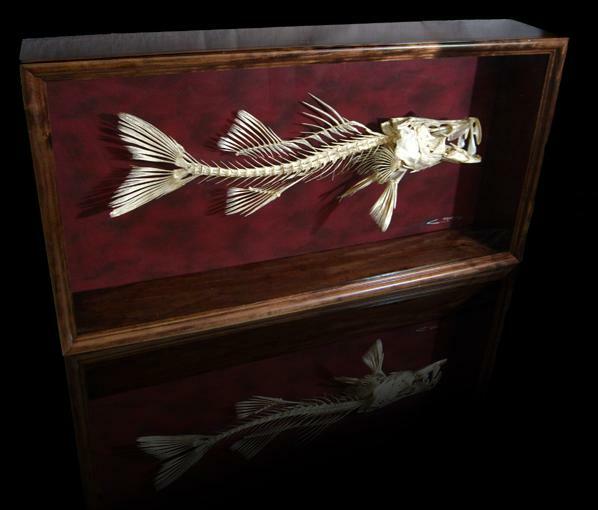 They can even skeletonize (if thats even a real word) fish over 65 inches long. There are no details on their skeletonization process, and I’m sure its a closely guarded secret. Their results speaks for itself though, the quality looks top notch. One of these unique creations will run you a minimum of $240 USD. Not too bad for something you would ordinarily see in a museum.